DPS classrooms are enriched by more than 36,600 students who speak 194 different world languages. These students make up 42% of the total DPS student population. Our ELA programs support these culturally and linguistically diverse students so that they can participate equally and meaningfully in the classroom. 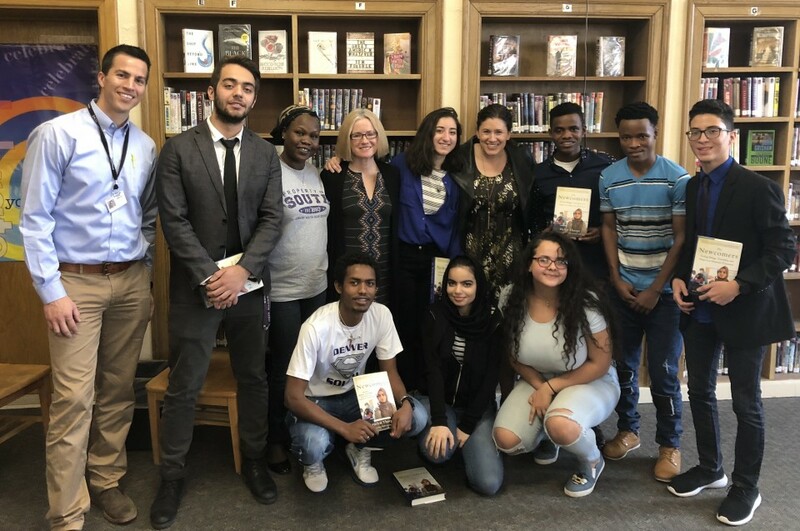 South High School is home to one of six Newcomer Centers in the district, designed for students who are new to the United States, some of whom have had little formal education in the war-torn countries from which they have come. In these newcomer centers, students receive specialized English instruction with low student-adult ratios that prepare them for participation in the school. Having met with some of these students at South and reading Helen’s eloquent telling of their experiences, it’s hard not to beam with pride at the courage and tenacity our students demonstrate. So many of them have overcome unimaginable odds in countries halfway across the world and are facing completely new situations each day with grace and a determination to learn and create a better life. It’s incredibly humbling and inspiring — and incredibly American. Their stories are the stories of so many of our parents, grandparents and great-grandparents. 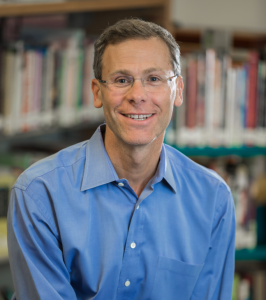 Edward Williams, the ELA teacher whose classroom Thorpe observed for her book, shared that, “In our day-to-day life, our classrooms seem really normal but, in fact, they are really special.” Indeed, they are a place where our students can be safe, supported, encouraged and ultimately given the opportunity to thrive. And we are fortunate to learn from them. As I reflect on the many times I’ve experienced what a special place our classrooms are, I am tremendously hopeful about not only the year ahead, but our country’s future. Want to get updates about the great things happening in DPS? Follow me on Twitter @SuptTomB. » Stay on top of DPS news by signing up to receive Our DPS Weekly e-newsletters like this one every Friday. 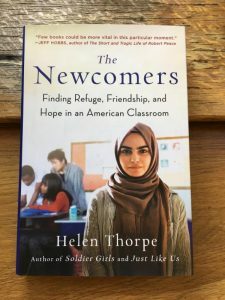 This week, we visited West Campus for their 77th annual Singing Christmas Tree and welcomed author Helen Thorpe to South High School as she reunited with students she profiled in her latest book. Learn more about this week’s events in 60 seconds! Didn’t see last week’s DPS News Now video? Not to worry! DPS News Now videos are posted to Facebook, Twitter, Instagram, YouTube and Vimeo every Friday. All DPS News Now videos are also available in Spanish as Lo último en DPS. DPS SchoolChoice is as easy as finding the best school for your student, applying between Feb. 1-28, and registering when you receive your school notification! Watch this video to learn all about the DPS SchoolChoice process. Not sure what school is best for your student? Browse our 2018-19 Great Schools Enrollment Guides available in both English and Spanish here. The guides feature districtwide information on how to enroll, transportation services, programs and more! For more information about SchoolChoice, visit schoolchoice.dpsk12.org or call the SchoolChoice hotline at 720-423-3493. Students at McKinley-Thatcher Elementary School. Congratulations to our students and educators whose hard work resulted in high growth or improvement on state assessments! Sixty DPS schools have earned a state award for their performance on the Colorado Measures of Academic Success (CMAS). 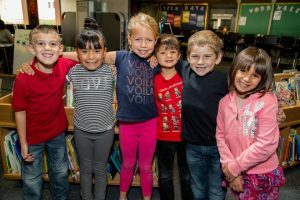 Each year, the Colorado Department of Education recognizes public schools in the state where 75% of students are considered at-risk and demonstrate the highest rates of student academic progress, as measured by the Colorado Growth Model. Click here to see the schools that received top performance awards! Looking for past editions of Our DPS Weekly? You can now access previous editions on The Commons and dpsk12.org, or in the link located at the bottom of Our DPS Weekly every Friday. If you have questions or feedback, email newsletters@dpsk12.org.